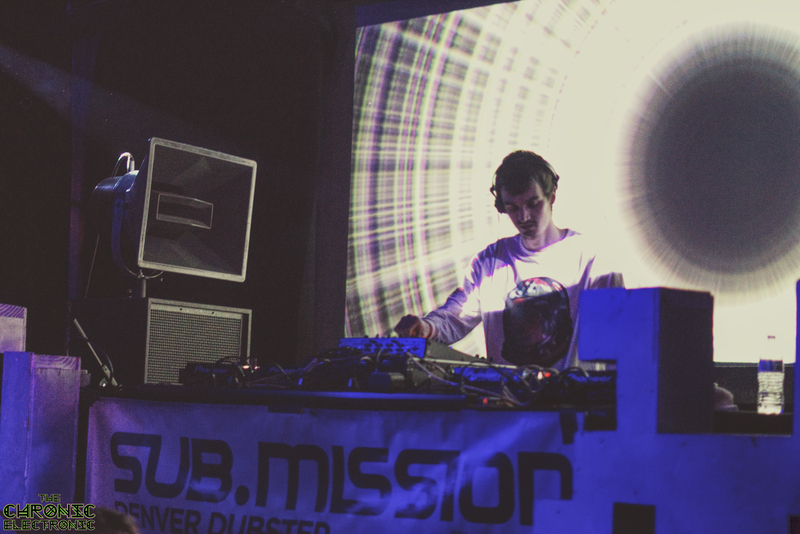 The Black Box is home to Denver’s heavy bass music scene. From booking renowned dubstep artists to booking underground DnB and Halftime artists to other underground bass acts, The Black Box has a diverse taste in bass heavy music. Recently, Riddim took over the Black Box from the “Death Before Dishonor” tour with gnarly sets from Bommer, Crowell, and locals, RYUK and Sektah! The locals kicked it off strong by playing some original work and some nasty riddim that isn’t generally mixed in mainstream sets. They warmed up the crowd before Crowell took everyone into a wormhole of heavy dubstep. After playing a while, Bommer hopped on the decks and took the whole crowd into a frenzy of rowdy headbanging. At a couple points, it evolved into mosh pits, especially when Bommer teased his collab with Crowell, “Yasou”. Doing that just resulted in absolute mayhem which the crowd at The Black Box just soaked up. Taking a breather from the riddim, the Lounge on the other side of the venue, was hosting Q-Vents Productions, who had a much different pace of electronic music going off. From house to insane drum and bass with a talented M.C, the lounge was popping off which just had all of the Black Box absolutely moving. The crowd representing the bass capital most definitely showed up to this show and threw down some wicked headbanging! Make sure to continue the support and check out the list of upcoming shows for the rest of this month at The Black Box, Denver’s home for Dubstep & experimental bass music. This entry was posted in Articles: Reviews, Music Reviews, News. Bookmark the permalink.